Oklahoma resident Lupe Tovar entered the foster-care system when she was just 6 years old, but it wasn't until she was 32 and had long since aged out of the system, that she was formally adopted by her two dads. "I was one of those young people who aged out and didn't think it would ever happen," she said of her adoption by her long-time mentors. "I am now loved beyond what I can almost handle." SB1140, which passed the House by a vote of 60-26, would allow child placement agencies to refuse to place a child if "the proposed placement would violate the agency's written religious or moral convictions or policies." At present, the bill only applies to private placement services that receive no state or federal funds, but supporters are trying to extend the religious exemption to agencies that do receive government funding. Tovar said it is "heartbreaking" that the opportunity to be adopted "could be taken away" from others in need of a family, particularly in the name of religion. "We are a Christian family," she said of herself and her dads. Leslie Cooper, deputy director of the ACLU's LGBT & HIV Project, said these adoption bills are part of a "broader effort" to "use religious freedom arguments to establish the right to discriminate against LGBT people." She said these laws are "not only harmful to our country's most vulnerable children" but are also "unconstitutional." The ACLU is currently suing child placement agencies in two separate cases. In one case, a lesbian couple in Texas is suing the U.S. Department of Health and Human Services after their application to foster refugee children was denied because they didn't "mirror the Holy Family." Supporters of Oklahoma's SB1140, such as Catholic Conference of Oklahoma, say the alternative would be the "forced closure" of religiously affiliated agencies that could not choose to place children solely with households that share the agency's values. Cathryn Oakley, state legislative director and senior counsel at the Human Rights Campaign (HRC), a national LGBTQ rights group, called these bills "patently discriminatory" and characterized the argument in favor of them as "illogical and inconsistent with data." "The true obstacle is a lack of suitable parents," Oakley argued, not a lack of placement agencies. She cited an analysis by HRC which found that from 2006 to 2011, when Catholic Charities withdrew from child placement services in Washington, D.C., Massachusetts and Illinois, neither the child placement rate nor the average time a child spent in care changed substantially. "Over 100,000 children in the U.S. foster care system are in need of a permanent, adoptive family. 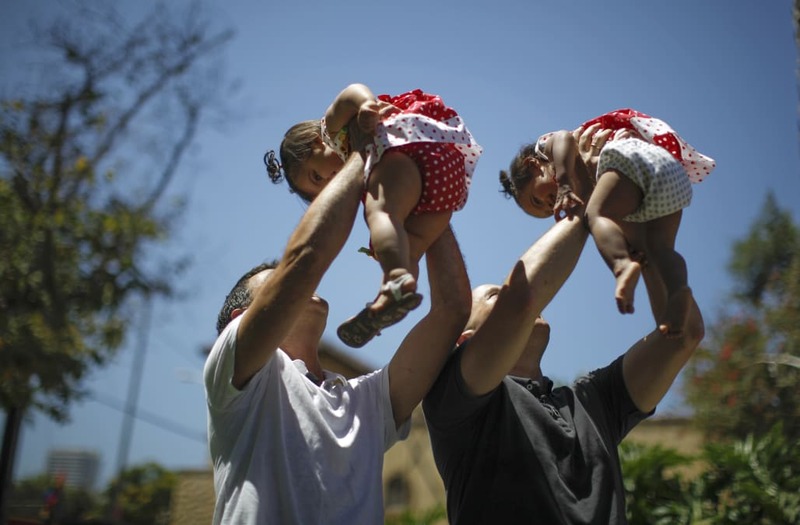 An estimated 2 million LGBTQ adults are interested in adoption," the HRC analysis stated. Christie Appelhanz, executive director of Children's Alliance of Kansas, the largest association of child welfare providers in the state, said her organization opposes Kansas' Adoption Protection Act and will "continue to fight against this bill." Appelhanz said there is a "record number of children in state custody in Kansas" and the state needs "all qualified families." "Prejudice and discrimination are bad for children no matter the family structure," she said, adding that her state's bill "signals to children that bias is not only acceptable, but virtuous." As for Tovar, who now works in the field of child welfare herself, she said her adoption gave her a "sense of empowerment" and two dads who are "there to lift me up, to cheer me on and cry with me when I go through the hard stuff." She said she hopes all children in foster care have that same opportunity to find a loving family.